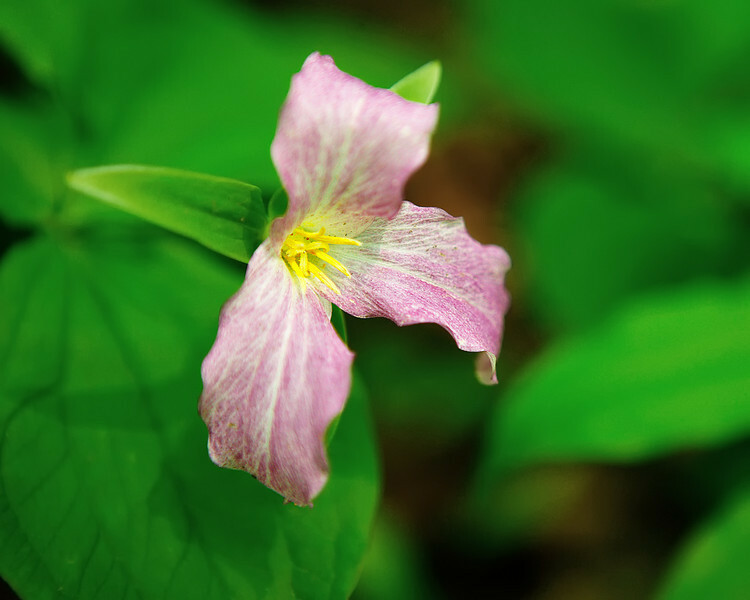 Large-flowered Trillium (Trillium grandiflorum). This member of the lily family flowers between April and June. It's early blossoms are white, but turn pink with age. To ORDER custom size prints of this image (takes one to two weeks), click on the "Buy" above this image (choose "This Photo" from the drop-down menu). You have your choice of glossy, luster, and metallic photographic paper prints, Giclée Watercolor prints, Giclée Canvas prints, ThinWraps prints, and Metal prints. All custom prints are made by the professional people at Bay Photo Lab, and shipped directly to you.